Importing sets to the United States comes with its own set of customs requirements; Shapiro is set on making this easy for you! See what we did there? Customs requires importers to not only declare the set within their Customs entry, but also each component of the set. Shapiro needs to know the weights and value of each piece of the set to clear your shipment. We’re breaking down set breakdowns! Why does Customs need to know what is in a set? Why do importers need to provide such detail on the commercial documents? Does Customs really need to know all these details? How Does Customs Define a Set? Customs defines sets as the classification of mixtures, composite goods of different materials or made up of different components, and goods put up in a set for retail sale. The set is defined by the item that makes up the essential character of the article, and this will determine the Harmonized Tariff Schedule (HTS) code. 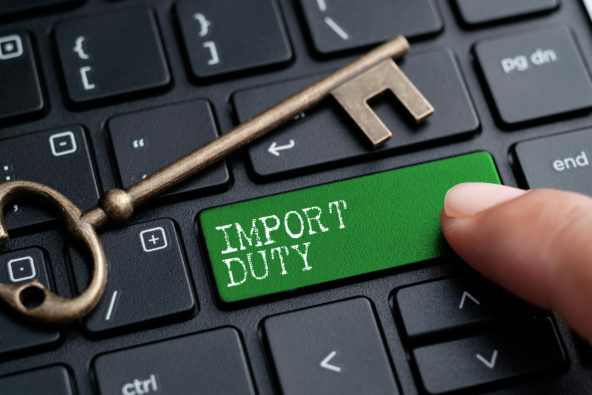 Within the set, Customs requires that importers declare the individual parts of the set for reporting purposes. Long story short: Customs needs to know what is in your set, and the weight and value of each item in the set. Let’s look at a few examples of sets, and how these are reported to Customs. Dinnerware set with plate, fork, knife, and spoon. Yes A set of dinnerware falls under the most basic definition of a set, and will have an HTS for the group. Pasta Kit with Spaghetti, Grated Cheese, and Sauce Yes The components of this set are intended to be used together to make a spaghetti meal. Though different items, they are intended to be used together to make a complete dish. This will fall under one HTS with the components of the group reported to customs. Wine and Whiskey Gift Set No Although packaged together, the items of this set do not interact together. The wine and whiskey are reported separately to Customs. Art Kit with case, ruler, calculator, pencil, and pencil sharpener. Yes The components of this set, though not related, when packaged together become a set because they work together to meet a specific need. Customs requires the set and the individual components of the set to be reported at the time of Customs entry. What exactly is Customs looking for? Customs uses the main HTS for the set to assess the duty and taxes on the group. The other parts of the set are used for reporting quantities to assess any antidumping or countervailing duty, or any quotas or other partner government agency regulations. While Customs doesn’t collect duties or taxes on the parts of the set, it does need to know the unit count, unit weight, and net weight. Our importer would pay duty on the $5000 value of the art kit. The case, ruler, pencil, and pencil sharpener weights and values are sent along with the entry so Customs can see exactly what is in the set. Commercial invoices and packing lists can be challenging. From Incoterms to set breakdowns, Shapiro will guide you through everything you need to know to make sure your documents are Customs compliant! You’ll also want to check out our helpful guide to commercial invoices for more details. Request a classification early in your process. By understanding what is needed for Customs from the beginning, you can save yourself from headaches (and high duty items!) when purchasing your products. Communicate with your suppliers. Manufacturers in China are often not aware of Customs’ sets requirements and may push back on itemizing the invoice. It is always helpful to request this at the time of invoice so that you don’t run into issues later. Don’t settle. A broker who doesn’t do their research and request details on your products might be missing something. This can cause delays at Customs at your expense. Shapiro asks for great detail in the beginning, so we can get everything right at the end. Customs sets can be daunting at first, but once importers understand why Customs requires so many details, this makes for a smoother clearance process. For more information on your product and its requirements for Customs, contact your Shapiro team!